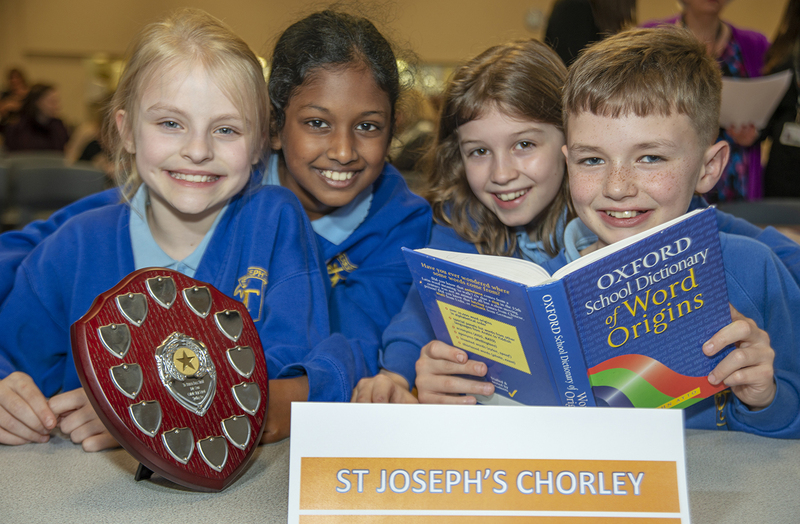 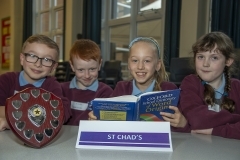 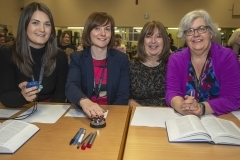 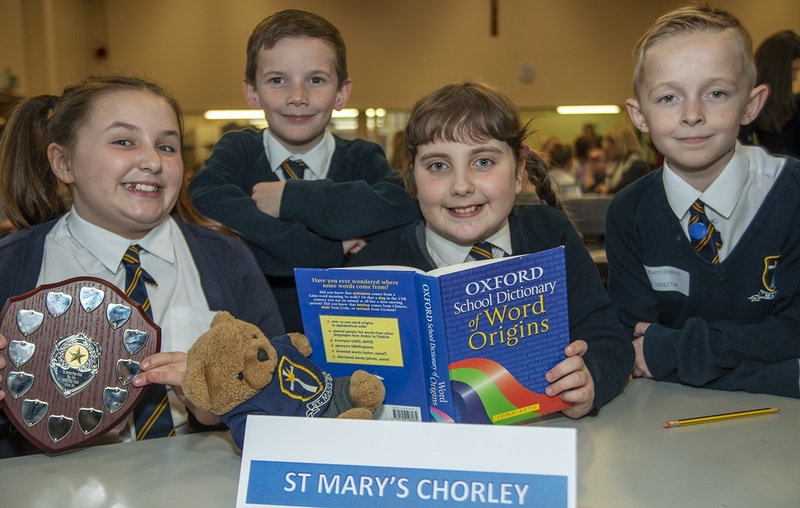 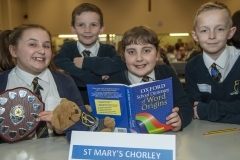 Holy Cross held their inaugural The Patricia Evans Spelling Bee competition and St Joseph’s Chorley were the winners. 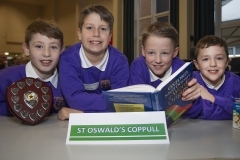 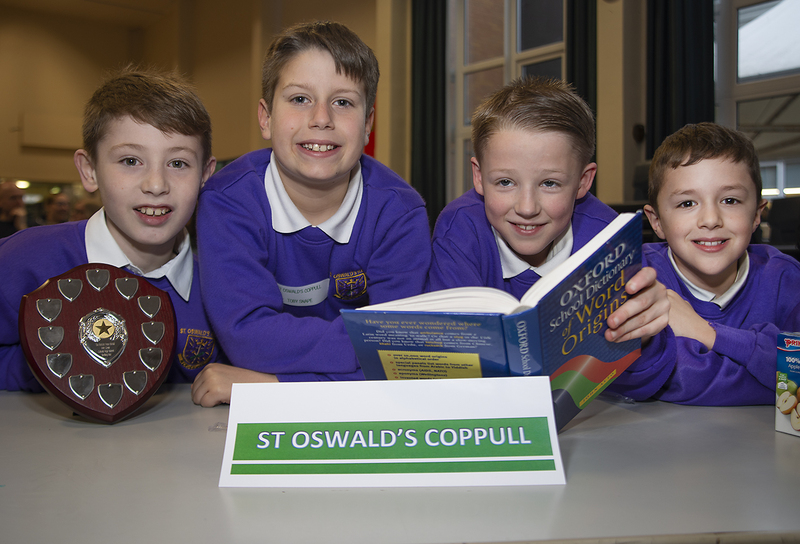 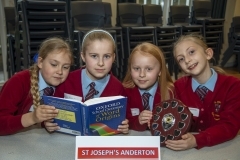 They were joined by teams-of-four from St Joseph’s Anderton, St Mary’s Chorley, St Oswalds Coppull and St Chad’s who pitted their English skills against each other over five rounds in a tense competition. The St Joseph’s Chorley team consisted of Rebecca, Jack, Amelia and Carly. It was the first year the competition had been held in recognition of the work of English teacher Trish Evans, who retired last year after 39 years of service to Holy Cross. 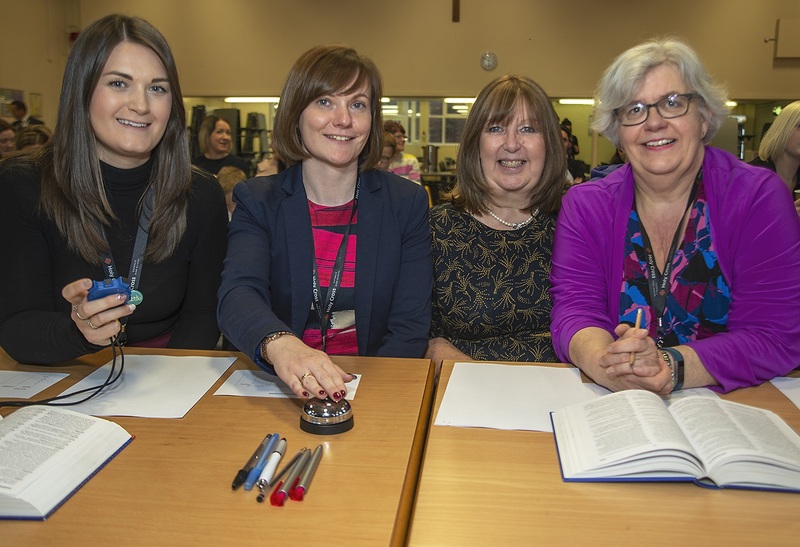 Trish was one of the four judges on the night. 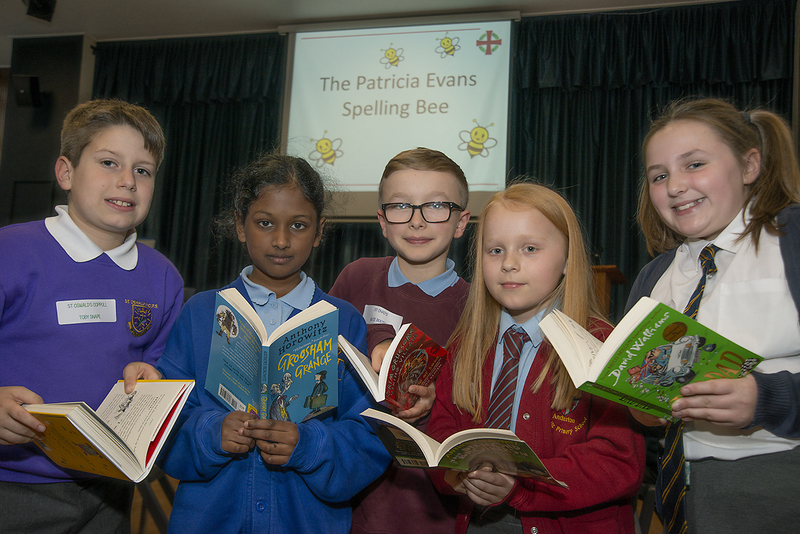 “We were delighted to welcome Trish back and pleased she is lending her support to this new initiative,” said Headteacher Mr Gaughan.